It appears very clear in the history of Cuba that the Spanish conquerors found to the native Indians “with torches ignited in their mouths”, this called the attention extraordinarily to them, because the natives of just discovered Island of Cuba already smoked! Later the Spaniards introduced the sugar cane and brought the slaved force of work coming from the African continent, being satisfied therefore a rich cultural mixture, enriched by the emigrants arrived from neighboring Haiti who fled from their revolution. All it clarified by the industrial revolution that caused that with the steam engine the sugar industry reached an extraordinary height, arising you intone the derivatives: like the brandy, the alcohol and the perfect mixture “the Light Rum” that is born to the world as we have today been knowing it in day for 150 Years in the city of Santiago of Cuba. Cuba became famous in the world by the sugar, the tobacco and the rum, arriving these two last ones at an empathy degree so, that they have become inseparable friends, ambassadors of our culture and true bridges in the development of the human relations, always of responsible and respectful way. 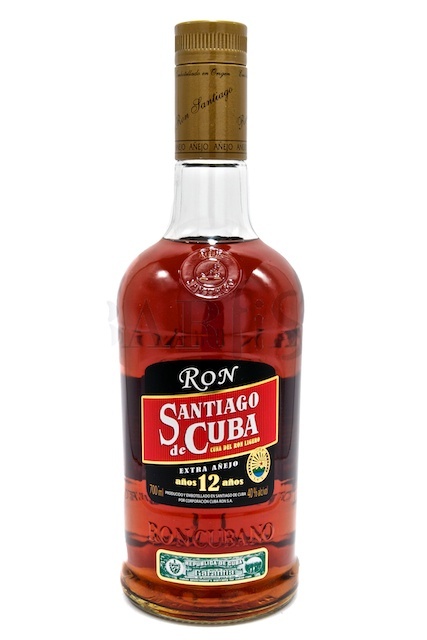 This Extra Anejo 12 years of Santiago de Cuba is a unique and special, both in their origin and in their conception. 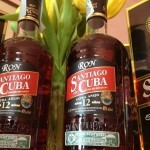 A were not destined to become a market product, which however, due to the fine quality and uniqueness of his birth, has ended up becoming, a private and intimate tribute to the Masters Distillers of the city of Santiago de Cuba, to the Habanos world and its transcendental culture. A mark made product exclusivity, both in its conception and its final result. It is the first rum in the world which has been thought and aged for pairing with cigars of the finest brands of Habanos. 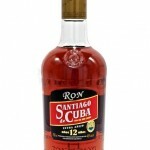 No other rum or peculiarity of this bill in the world is the one both inside and outside Cuba. The bases that make up this distillate are part of the personal reserve of the Masters Distillers of Ron Santiago factory in the city of Santiago de Cuba, the cradle of light rum, which is used for work purposes only, but never thinking of making in a given product. The fact that a series of lucky coincidences and events, this 12 years has seen the light and become what is now one of the best spirits of its kind in the world, it’s just a quirk that increases its value, and supported by the fact that their production rather limited, as all outstanding product that claims to be born in the best Cuban rum factory. 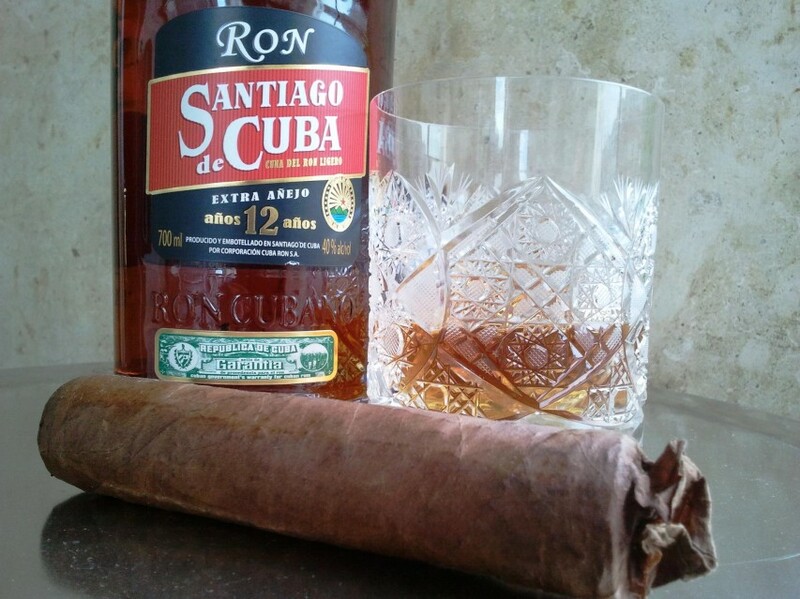 When making a tasting of the Rum Santiago de Cuba 12 Years Extra Aged, is possible to make it from the characteristic elements that identify it by their enormous possibilities of being related in a fraternal spirit, friendly franc and with the Cuban tobacco (Habanos). In its aspect we can observe its color radiating warm amber. Its aroma characteristic of a rum with a maturing prolonged in barrels of white oak, perceiving powerful bouquet of the aged brandy originating of the sugar cane, next to exquisite aromatic wood sensations. 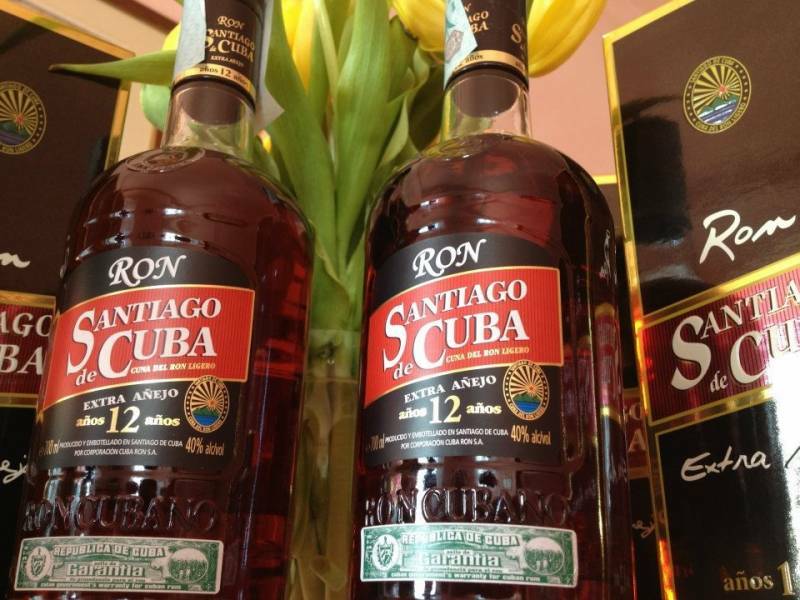 In the flavor we simultaneously appreciated the robustness and gentleness of a rum with 12 years of maturing, in which they excel flavors like the one of the fine brandy “soul of the Cuban rum”, the coffee, the cacao, and the tobacco its “inseparable friend”. In mouth one perceives a balance between smooth and strong that paladar fills pleasantly, with flavor of a highest preference, obtaining slight heat sensation when swallowing that it invites us to the benefit of the Cuban tobacco, allowing us to feel to fullness its exquisite pairing.